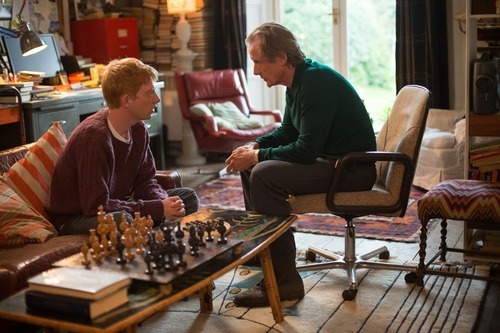 Starring: Domhnall Gleeson (Harry Potter and the Deathly Hallows), Rachel McAdams (The Vow), Bill Nighy (Love Actually) and more. Rating: Rated R for language and some sexual content. One of the best movies that I genuinely enjoyed even more than I anticipated. As a movie viewer that has grown tired of the incessant barrage of romantic comedies and their cookie-cutter formula, I was pleasantly surprised by this delightful drama posing as a romantic comedy that blossomed into so much more. Taking every man’s dream of having the ability to travel back in time to have a competitive edge on life and making it a vital point in this story kept me engaged throughout the entire viewing. 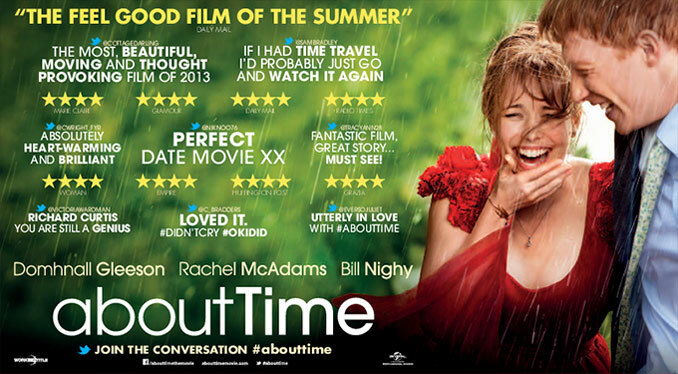 Reminding me of several other films (including the first film I ever wrote a review for entitled 11 Minutes Ago), About Time carries with it certain elements similar to the likes of Safety Not Guaranteed, The Butterfly Effect, Back to the Future and other such stories…and I enjoyed every minute of it. If you are a fan of time-travel stories…think of your Top 5 personal favorites…after viewing About Time rest assured it will be a part of your top 5. 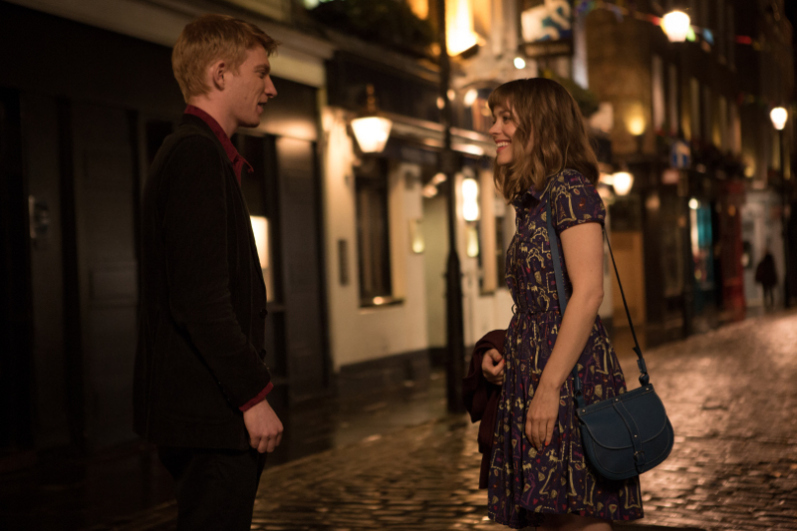 About Time is a movie about time, about love, about life, about family, about relationships, about selflessness and more, and it is told in so great a fashion. Time-travel being the vehicle used to transport the viewer (and the characters) to the conclusion of the meaning of all of those things in life. 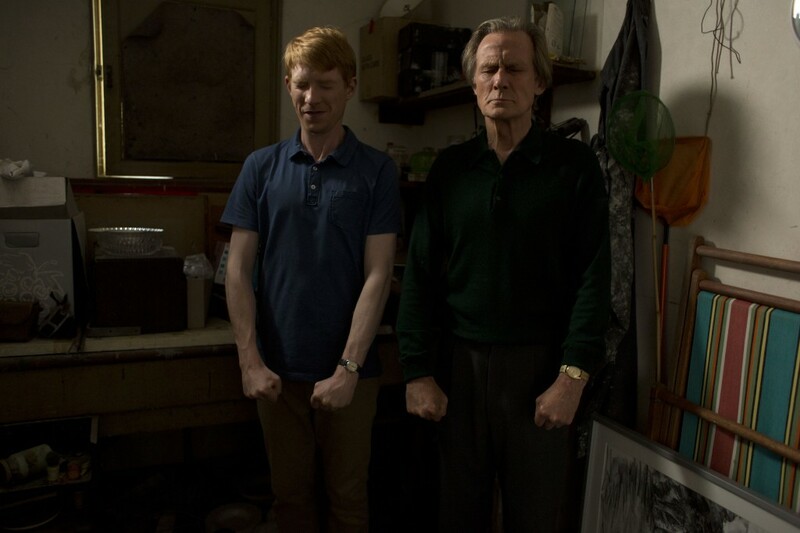 Opportunities lost may not be regained and thus the moral of the story being to take advantage and appreciate every opportunity given comes through loud and clear and I think mostly so through the Father/Son relationship portrayed by Bill Nighy and Domhnall Gleeson. There’s so much I want to say about this movie, but I can’t seem to get my thoughts together in any way that seems coherent, so, indulge me for a moment as I simply type out and share my notes that I wrote while watching the film. I’m so glad Hugh Grant isn’t in this movie. I feel like I know these characters, or, maybe that I could be the main character. Good writing, good acting. 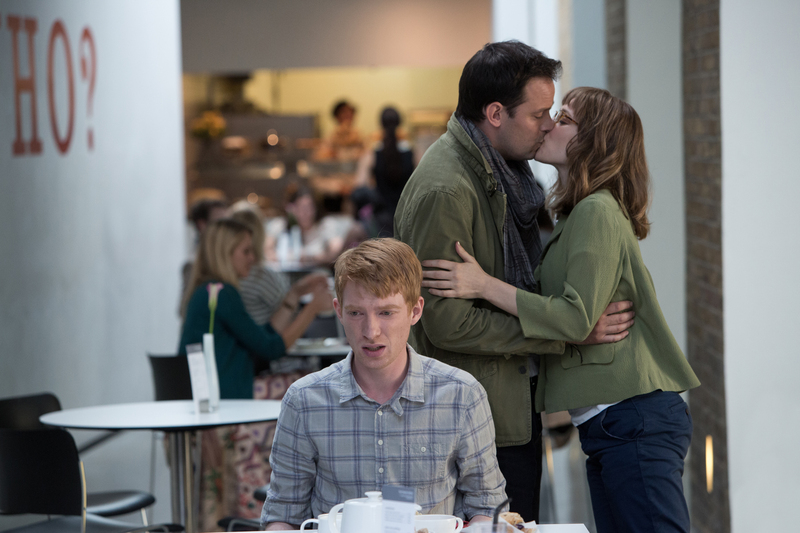 This “romance” movie is drawing me in…how is this possible?? Oh, if I had time-travel power…the things I would do and change. That’s right, Tim (the main character), get that girlfriend! You know those moments when you can’t help but smile for the characters in the movie? To an extent you are smiling for the characters you see in a good situation as the movie draws you into what is going on and then you realize you are smiling as if you are in the scene yourself personally? Yeah, that just happened and it keeps happening. This movie is full of smile-making moments like that. Every guy (or every person for that matter) wishes at some point to have the power of time travel and the ability to use the information acquired to their benefit. Vicariously living through the main character, every guy who may not be in the theater of their own volition (i.e. the girlfriend and/or wife “dragged” them to it) will quickly forget this “transgression” of their own will and begin to enjoy all of the elements of this movie. Man, this movie is PERFECTLY cast! I mean…just wow! It’s real. awkward when it’s supposed to be. endearing when it’s supposed to be…which is almost always. Quick tidbit here: loved the mixture of music from the early 2000s throughout subtly giving the time period of certain events. (Must link to Ruth at Flixchatter’s music post from this film.) Link provided here. I also love the rest of the indie soundtrack! I think I will ask for this soundtrack for Christmas. 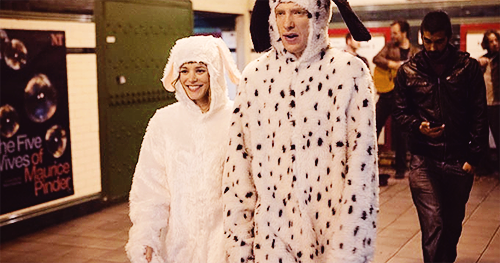 Amazing chemistry between all of the characters actually, and especially Rachel McAdams and Domhnall Gleeson. They are completely believable in the throes of love, enjoying the beginning of their relationship as is the beginning of any and explores those highs after the quest to find true love. Every “first” is relatable and full of laughter as it is genuine. The film is perfected by these little things. 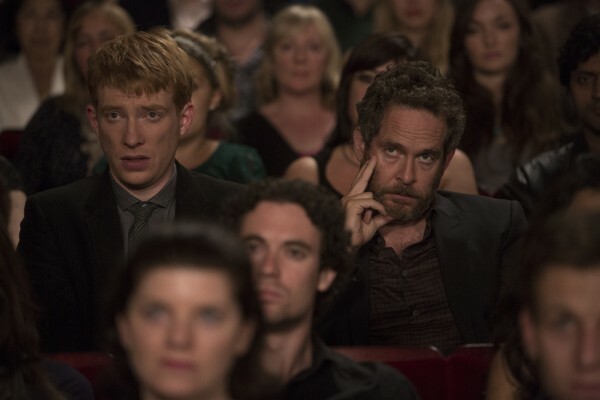 This familial inherited secret helps Tim realize that life is about the relationships we build and the film uses the entire supporting cast very well. Goes from happy go-lucky to a bit more sombering just like that but still manages to stay light yet pertinent. A wonderful movie. About Time is about the journey of every day chance meetings, every moment and every moment’s meaning. Upon the film’s end, I sat in the theater, alone, listening to the final track of the score as the credits rolled (Listen to a soundtrack sampling HERE.) and sat there thankful to the movie gods for giving us a movie that was as fantastical as it was real and one that was far more enjoyable than expected. It is a film that hits home in a reiteration of the importance of family, friends and life and I appreciated the efforts of all involved, so, my sitting there watching the names roll up the screen was my little tribute of acknowledgement and thanks. 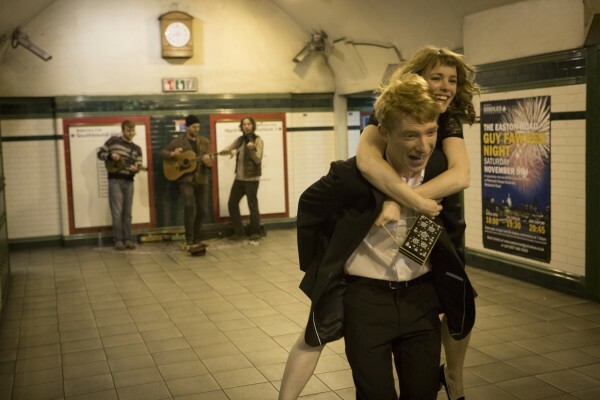 Expertedly directed, acted out and told, this story was an unexpected delight. In case you can’t tell by now. I really enjoyed this movie. I laughed, I cheered, I worried, I smiled, I hoped, I mourned, I contemplated, I remembered, and I celebrated right alongside Tim and the rest of the characters in the film for every second that I got to be a part of their lives. A beautiful film and one that comes highly recommended by this movie lover. Sorry this wasn’t my “normal” review format. I couldn’t put all my thoughts together but just wanted to express my enjoyment of this film. It is touching, endearing, fun, delightful, charming, refreshing and enjoyable. I enjoyed this one, thought it had some real heart to it. 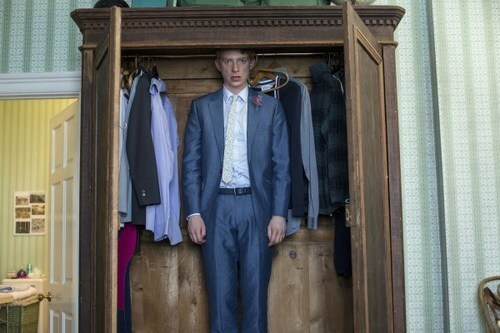 It’s a bit schmaltzy but you know what you’re getting with a Richard Curtis film. I Love how you had such a hard time explaining how you felt about this movie. I had the same challenged. All I knew was that it left me with the warmest feeling, and a smile on my face. I agree it was perfectly cast, and every action/scene had a purpose. This was a beautifully written movie that is definitely in my top five. 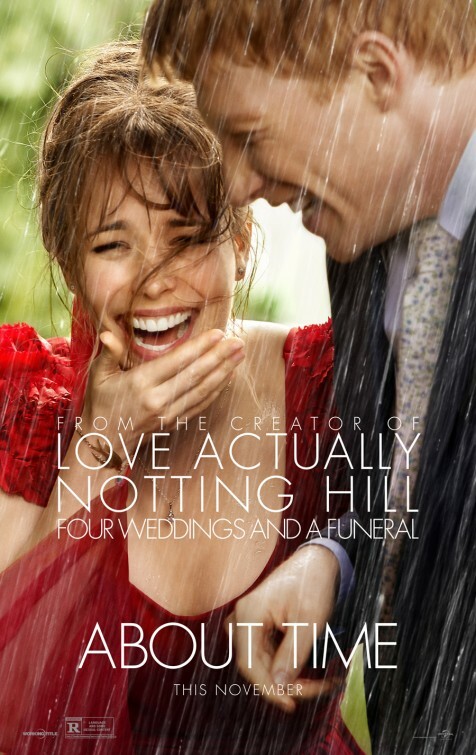 I love romance comedies, but this movie surpassed my small expectations for it. 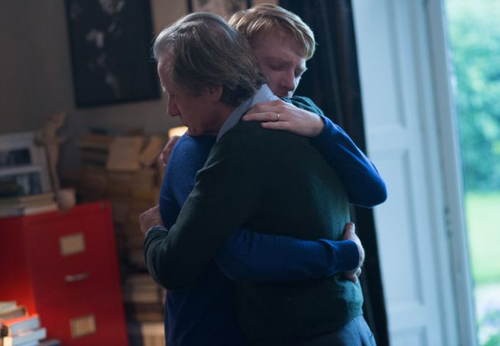 Nice review T. I expected it to be overly-sentimental and sappy in the way that most Richard Curtis movies are, but this was a bit done too much to the point of where I didn’t believe in anything that was happening, to anyone, or for any reasons.